A reliable source for Screw Conveyors information and a resource for accessing leading Screw Conveyors and suppliers. Screw conveyors, also known as auger conveyors or industrial screw conveyors, are systems designed to transfer free-flowing and non-free-flowing, dry and semi-dry bulk materials. Note: Since the operation of the system involves a screw cutting through the bulk materials, we do not recommend using screw conveyors to process substances that are sticky or do not break down easily, such as gels. Screw conveyors assist in moving, or conveying items such as: packages, equipment, food, or products from one area to another, usually for the purpose of performing automated or semi-automated finishing or manufacturing processes. These conveyors are able to transport dry, loose materials between places such as pits, trucks, barrels, rail cars, silos, hoppers, and vats. To that end, screw conveyors can be found in a wide range of industries and applications, such as: construction, oil and gas, mining, chemical, pharmaceutical, plastic, food processing and agricultural. Screw Conveyors Screw conveyors, also known as auger conveyors or industrial screw conveyors, are systems designed to transfer free-flowing and non-free-flowing, dry and semi-dry bulk materials. 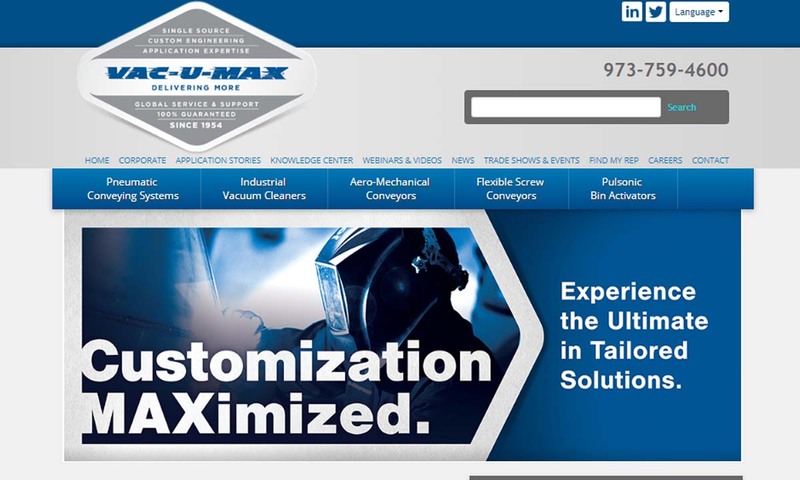 VAC-U-MAX is a manufacturer specializing in screw conveyors and transportation systems, load filling machines, bulk bag loaders, grinders, pulverizers and sifters. The company serves the chemical, food and feedmill industries with highly efficient products. 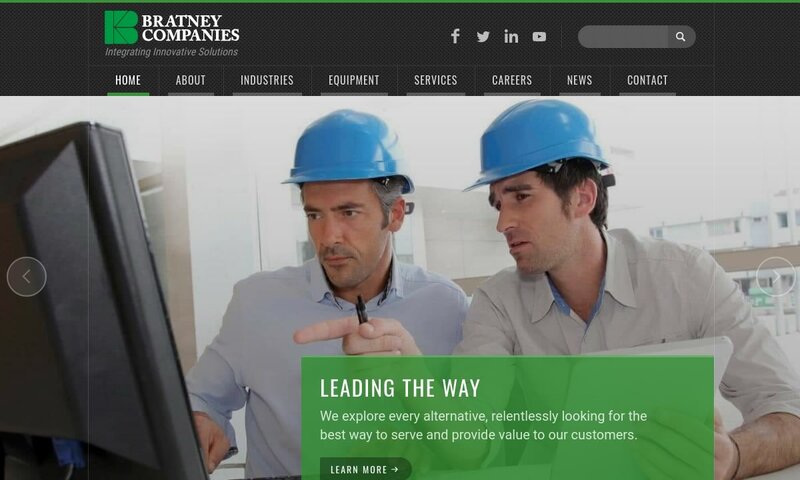 Bratney Companies puts our expertise in key industries to work for you, offering equipment, design and construction solutions for your needs. Working closely with you, we will recommend the right piece of equipment to clean, sort, size, store and package the materials in your facility. For over 87 years, we have been dedicated to customer satisfaction, product quality, and on time delivery. 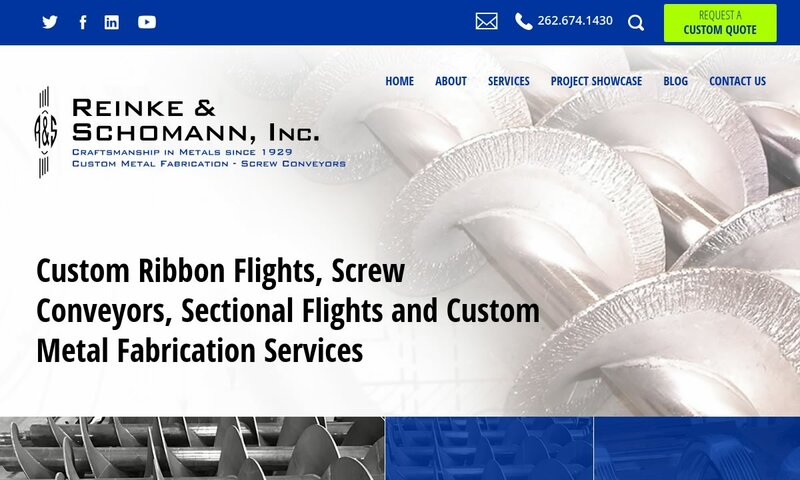 Reinke & Schomann, Inc. is leading manufacturer in our industry and we strive to manufacture the latest innovations. At Process Systems and Design, our company’s motto is to do it once, and do it right. We provide material handling systems such as bulk powder and liquid processing equipment. The definitive history of screw conveyors begins all the way back in the 3rd century BC. It was then that the ancient Greek scientist and mathematician Archimedes created what came to be known as Archimedes’ screw or screw pump. However, many historians believe that Archimedes got his idea for his auger conveying system after visiting Egypt, one of the many regions in the Ancient Near East that likely already had screw conveying systems. According to Assyrian cuneiform tablets, in the time of King Sennacherib (704 BC-681 BC), engineers cast bronze water screws. In addition, the classical Greek historian Strabo talked about the Hanging Gardens of Babylon using screws for irrigation. 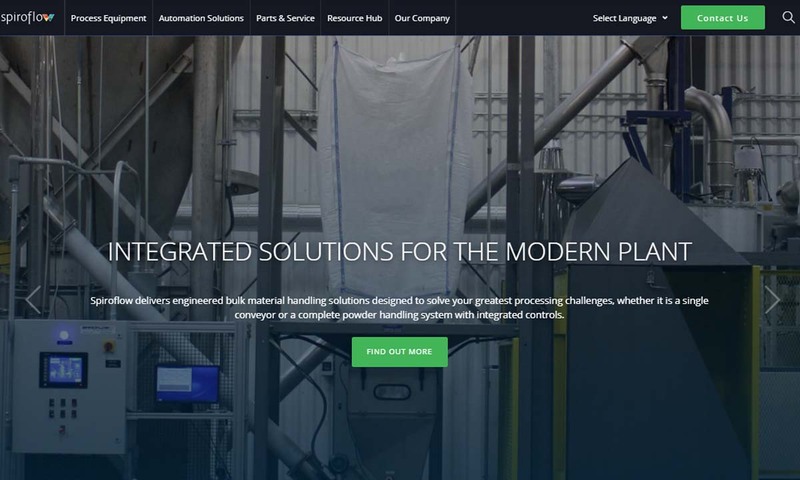 Screw Conveyor – Conveyor Engineering & Mfg. Co. Either way, Archimedes’ auger conveying system brought this mechanism into the western world. It featured a hollow cylinder, a shaft and a spiral, which was attached to the shaft and the interior wall of the cylinder. Archimedes’ screw made it possible for people to more efficiently irrigate land, dewater land and remove water for ships. In 1405, in his book Bellifortis, German military engineer Konrad Kyeser outlined an Archimedes screw that featured a crank mechanism. His auger invention rapidly replaced the older screw system. Engineers developed the screw conveyor system as we know it today between the late 19th century and mid-20th century. At that time in the USA, screw conveyors were most popular for use in agriculture, where they helped process feed and grain. Many farmers still use screw conveyors today, and often refer to them as grain conveyors. Early modern screw conveyors in the US were also an important element of feed mills. Over time, as food production became for commercial, screw conveyors also came to be used to move more perishable food ingredients. They also became popular in construction, where to this day, they are used for conveying items like cement. Throughout the 1900s, engineers and manufacturers improved upon and created new materials with which to make equipment like auger conveyors. One of the most prominent examples is stainless steel. With stronger materials and improved technology, manufacturers have been able to do a lot with screw conveyors. Today, auger conveying systems usually involve a high level of automation and robotics. This development has made them even more efficient and high quality. It has also allowed manufacturers to diversify their use of auger conveyors, from light duty to extreme heavy-duty applications. Screw conveyors work by rotating bulk materials from one location to another. They operate on the principle of Archimedes’ screw. Archimedes’ screw principle says this: When a revolving screw or auger is correctly installed inside a tube or cylinder, it can move water in the direction you have chosen. In addition, every time the screw rotates, it will let new material into the tube. Screw conveyors move material at a predetermined flow rate. Depending on the application, this flow rate may be measured by cubic feet per hour, pounds per hour or tons per hour. Their power may come from electricity, gravity or the energy of another machine. Conveyor systems can be a combination of multiple types of conveying augers. A combination of different conveyor types is known as a conveyor system. Belt conveyors are the most common type of conveyor. They convey materials using a wide rubber or polymer belt that rotates with the help of at least two uni-directional pulleys. (The belt is wrapped around the pulleys.) Belt conveyors are extremely versatile and is used in industries from aerospace to retail. Chain conveyors are screw conveyors that feature a chain drive as the drive unit. The chain drive not only transmits power, but also lets operators adjust speed by changing the gear ratio. Chain conveyors best move abrasive, fragile and/or dry materials. Roller conveyors move loads using rollers, which are round rotating elements, positioned on a flat bottom. Roller conveyors can work using gravity or electric motor power. They are used for a wide variety of applications, such as: sorting, washing and drying, finishing, shipping and distributing. 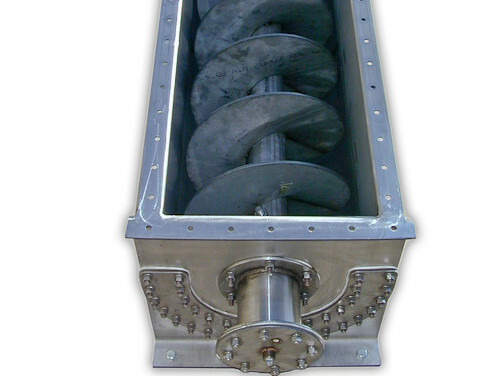 Spiral conveyors are any screw conveyor that uses an enclosed spiral screw. Overhead conveyors, as one might assume, are conveyor systems that work from the ceiling down, not the floor up. Their tracks are usually supported by the ceiling, walls, stands or racks. They may be manually driven, gravitationally driven, electrically driven, pneumatically driven or vacuum driven. Overhead conveyors free up floor space for other activities and machines. They also decrease labor. Vertical conveyors carry materials straight up and down. They require tubular cases to hold the materials, and therefore also qualify as tubular screw conveyors. Vertical conveyors are used when materials need to be moved between receptacles that greatly differ in height. They are lower maintenance than bucket elevators, and they are able to provide constant conveying. Horizontal conveyors, also known as horizontal screw conveyors, transport materials in a linear direction parallel to the ground. For this reason, they only require a trough. They are useful in: dewatering, compaction, aeration, heating and cooling, drying and mixing. Inclined conveyors are set at an angle. Although these conveyors require more space and power than its counterparts, they are able to economically move bulk material from one floor to another. Some are even portable, so that you can mount them in one area then move them to another. Gravity conveyors move items using the force of gravity instead of a motor. Ball transfer and chute conveyors fall under this category. 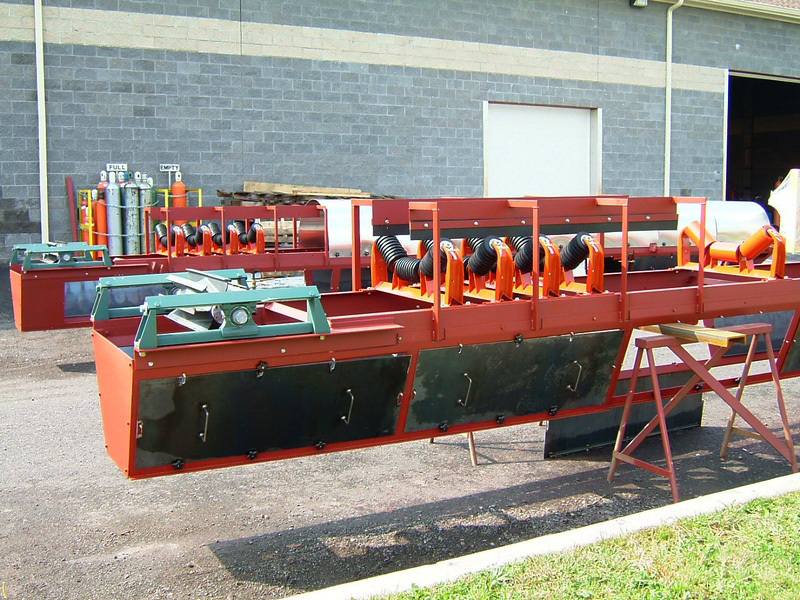 Tubular drag conveyors are screw conveyors that use a chain drive with flights. With these elements, they pull material a sealed pipe circuit. Tubular conveyors function at high speeds with a low torque and have varying capacities. Pneumatic conveyors are tubular, air-powered conveyors that primarily transfer bulk powder solid materials. Flexible screw conveyors are capable of bending in numerous directions and adjusting their angles. Unlike traditional carbon steel conveyors, which must remain stationary, they can have many different applications within one facility. Portable screw conveyors can be easily mounted vehicles, carts, or stands. Usually, people buy them to move powdered materials or granulated materials. Vibratory conveyors consist of metal troughs that vibrate in order to move materials in one direction. Usually, these are bulk powders and mixtures like: gypsum, crushed cement, fertilizer, wood waste, food products, minerals and glass. The vibration comes from electromagnetic or electromechanical vibrators attached at intervals to the bottom of the trough. Bucket elevators move flowable material with buckets. They can be attached to a vertical conveyor or an inclined conveyor. The conveyor screw (a spiral blade coiled around a shaft) is housed inside the tubular casing, where it is driven at one end and held at the other. The trough may or may not feature a trough cover. Sometimes, screw conveyors feature a spiral blade, but no shaft. In this case, they are called shaft less screw conveyors, and the blade is driven at one end and free at the other. Benefits of screw conveyors include: gentle material handling and mixing, system speed and efficiency, low investment costs and system durability. Of all the conveyor systems, screw conveyors cost the least to purchase and maintain. They are also adaptable, customizable and endlessly versatile. They can process materials as diverse as: lead oxide, whey, fiberglass, vitamins, Epsom salts, garlic powder, flour, cocoa beans, ferric sulfate, gypsum, caffeine powder, and carbon black. Standard screw conveyors are typically made of metal, but some varieties are made from injection-molded thermoplastic resin. Conveyors made from the latter material are highly resistant to high temperatures and impacts and avoid contaminating the materials they handle. Of all the metals, most industrial screw conveyors are manufactured using food grade stainless steel, which is non-contaminating and possesses a smooth finish. To best suit your needs, screw conveyor manufacturers may customize your conveyor in a number of ways. For example, they can add sections or attachments such as: wash down sections, mobile base units, flexible discharge hoses, integral bag dump hoppers, access and inspection ports and/or flexible discharge hoses. They can even make you portable screw conveyors. Any conveyor purchased in or for use in the United States should be CEMA certified. 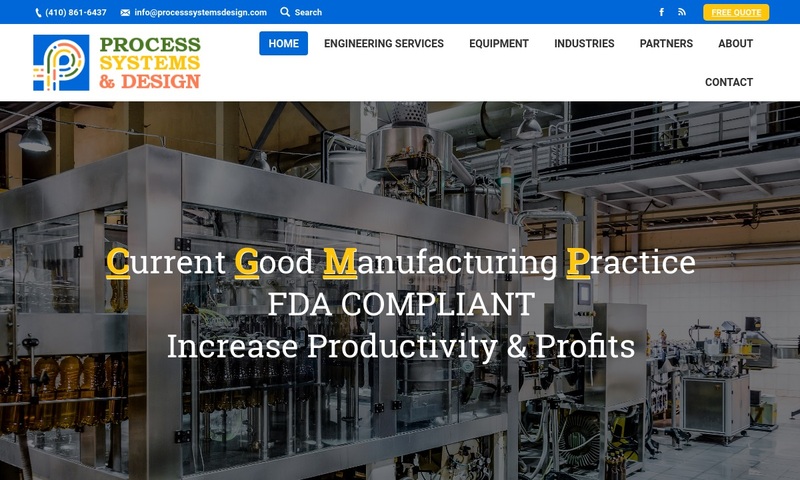 CEMA, or the Conveyor Equipment Manufacturers Association, is a trade organization that puts out guidelines and standards for the fabrication of safe, efficient and intelligently designed conveyor systems. In addition to that, your conveyor should have certification from or certification that meets the standard requirements of your application/industry. For example, a conveyor used to process food should meet the standards of the FDA. Likewise, a grain conveyor should meet the standards of the USDA.  To learn more, talk to your industry leaders. To get the best screw conveyor for you, you need the best manufacturer for you. Remember that the right manufacturer is not the one who can offer the lowest prices, but the one who can offer a conveyor that matches your specifications, your standard requirements, your timeline and your budget. With the right manufacturer, you will not have to settle for low quality just so that you can afford a conveyor. The right manufacturer will work with you and treat you with respect. 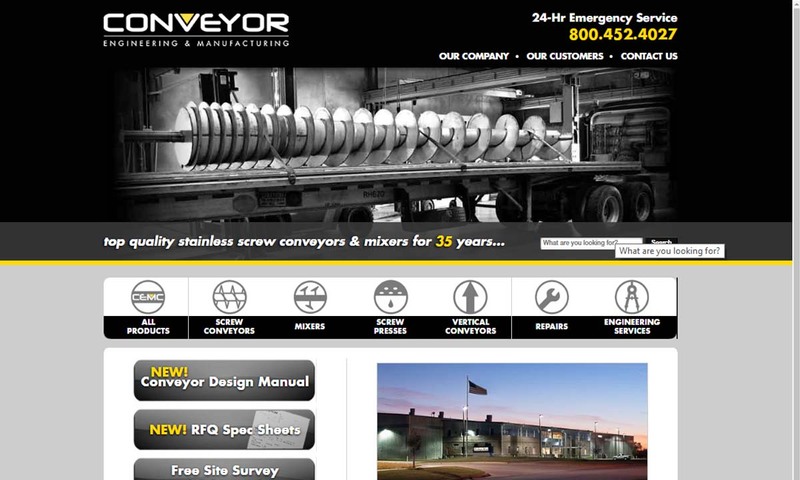 Find a screw conveyor manufacturer like that by checking out those we have detailed on this page. Good luck!